I'm a Dutch-American university student studying abroad(ish) in Groningen, the Netherlands. Follow me as I follow my heart back to Europe! For those considering studying abroad, one major concern that might make you decide not to go is the idea of having to make new friends all over again. It’s a daunting thought that vaults you back to freshman year, and all the insecurities that came along with the new (social) environment. But the main purpose of studying abroad is to broaden your horizons by challenging yourself–and to become more confident and competent in the process. To this end, and to make the transition to a new country and culture just a tad bit smoother, I urge everyone studying abroad at the University of Groningen to join Erasmus Student Network, or ESN. With branches throughout Europe, ESN is a student organization geared towards helping international students make friends and acclimate to the culture of the country in which they are studying. ESN Groningen is one of the branches of this organization. For the relatively inexpensive initial fee of thirty euro, you are given a welcome package and are assigned to a group of approximately ten students (all international), with two assigned group leaders who are also students. ESN Introduction Week is a full itinerary of social and cultural events that you participate in with your group. 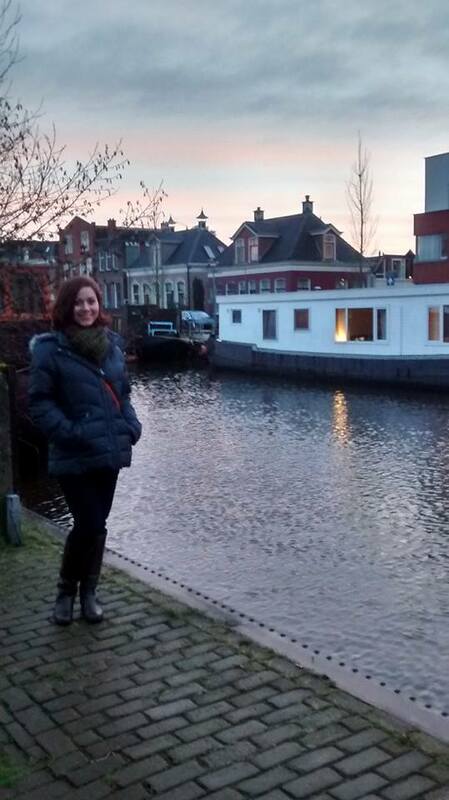 I have very few pictures from ESN Introduction Week, so here’s me next to the canal near my dorm! To be honest, when I first heard about ESN from other students who had studied abroad here, I didn’t think it was something for me. I’m an introvert by nature, and am not necessarily a fan of partying all the time. ESN seemed to be merely a party organization, and I doubted that I would make any friends by joining. I only joined at the urging of my extroverted sister and sensible parents. Admittedly, I was wrong: although ESN does throw a lot of parties, the other activities, particularly the cultural day during Introduction Week, helped me bond with my group members, all of whom I still hang out with on a regular basis now that I’m more settled in Groningen. Although I have made several other friends that were not connected to ESN, I definitely met most of my friends and acquaintances here through ESN. They also organize trips and events throughout the year, so you always have something to do and somewhere to meet new people and experience new things. I would highly encourage everyone studying abroad in Groningen to join ESN. Thirty euro may not be able to buy you happiness, but it will make finding friends in Groningen a heck of a lot easier, and that is priceless. 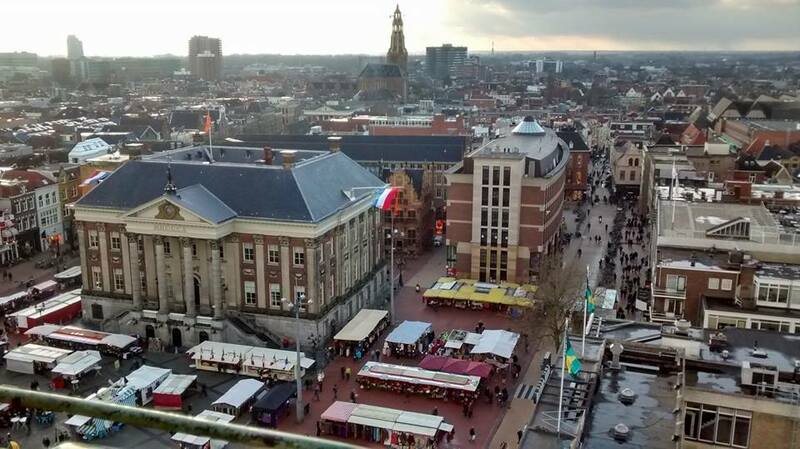 The view from the Martinitoren in Groningen, which I climbed with my ESN group on the cultural day.